Falls from height continue to be a significant problem on construction sites, often causing permanent debilitating injuries and fatalities. At Work Smart Platforms, part of the SSS Roof Scaffold Systems Group, our roof scaffolding systems for sale are designed to minimise and prevent workplace accidents. 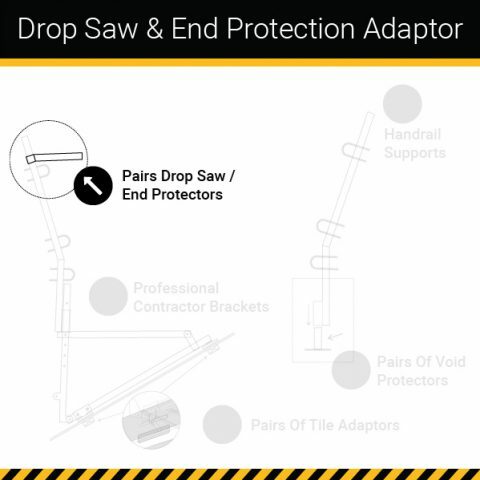 When you buy roof scaffolding from Work Smart Platforms, you’re providing a safe and cost-effective scaffold system for tradesmen and women to work on sloping roofs. 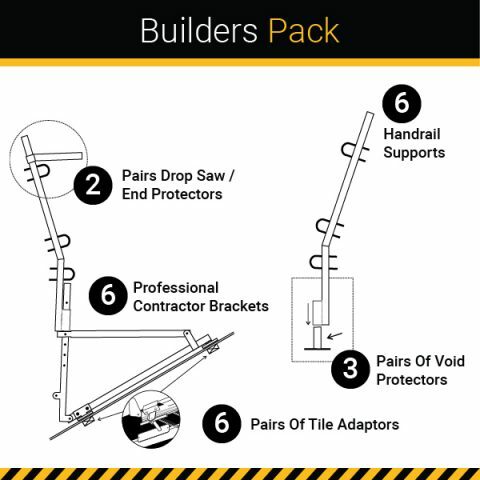 If you’re looking to buy roof scaffolding systems, we offer various product packages of roof scaffolds and components to suit your needs. Generous cost discounts are also offered. We provide several suggested packages for varying purposes but we can also custom-build a package of our award-winning roof scaffolding. Discounts apply for customers who buy in bulk. 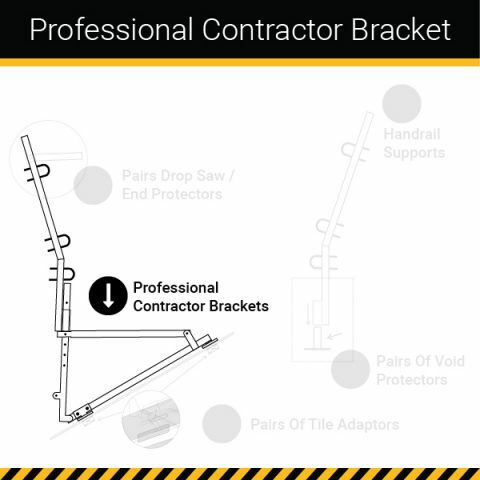 You can also buy roof scaffolding individual brackets and mounts. Work Smart Platforms roof scaffolds provide a strong, secure platform in the form of our award-winning fall-prevention system for all trades. One of the major benefits is that scaffolding systems can be easily installed to the roof structure. 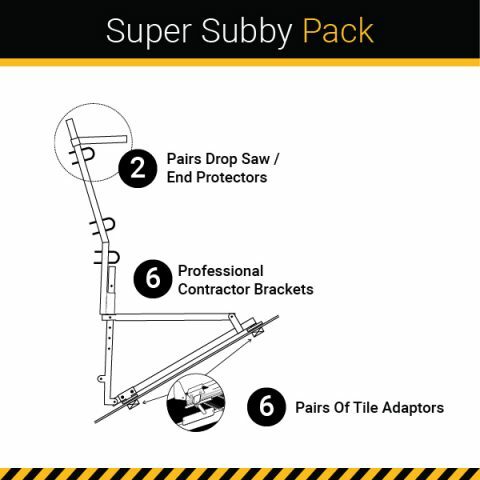 When you’re looking to buy roof scaffolding systems, you want to buy the best. At Work Smart Platforms, our roof scaffolding for sale is world-renowned, tried, tested and suited to a range of trades. Contact us for more information or buy online. 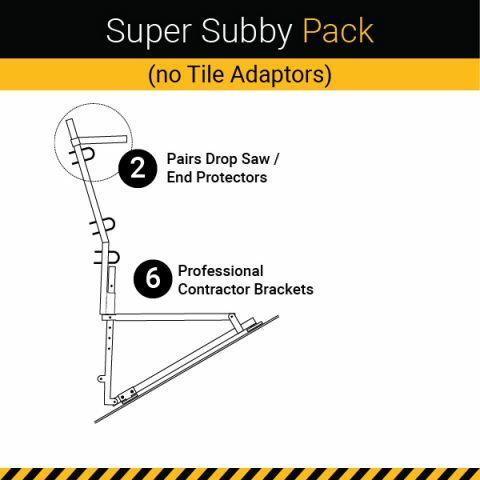 A single bracket to suit a maximum spacing of 2.7 meters. 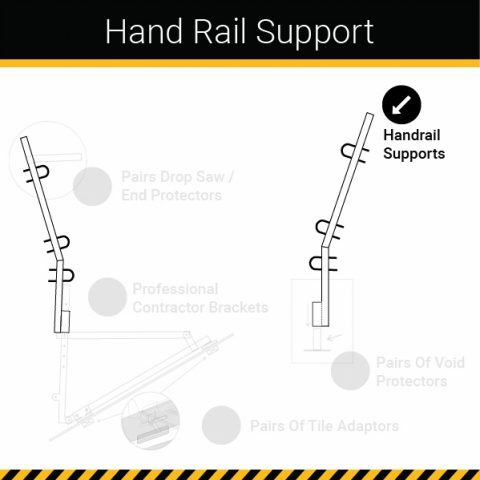 Includes handrail support but does not include planks or rails. Currently on back order. Wait time is anticipated to be 3 to 4 months. 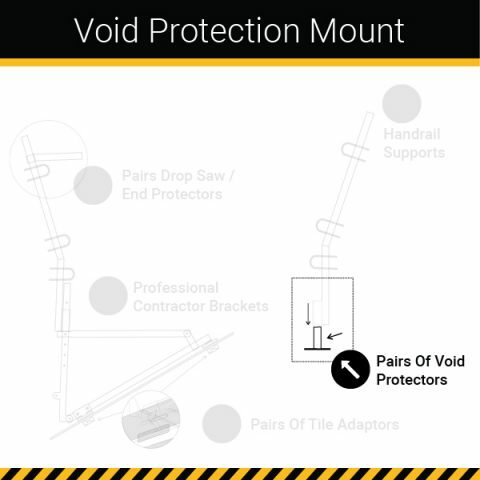 The void protectors are sold in pairs and enable you to use Worksmart Platform Hand Rails around voids on site. 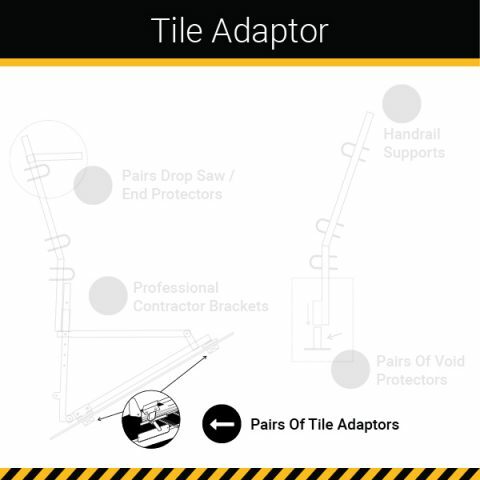 Tile Adaptors enable the Worksmart Platform Professional Contractor Bracket to be installed on tile roofs. Sold in pairs, two are required per bracket.